In each country there is a little is known or not popular excursion. In Georgia, such an trip can be called the David Gareji monastery complex. 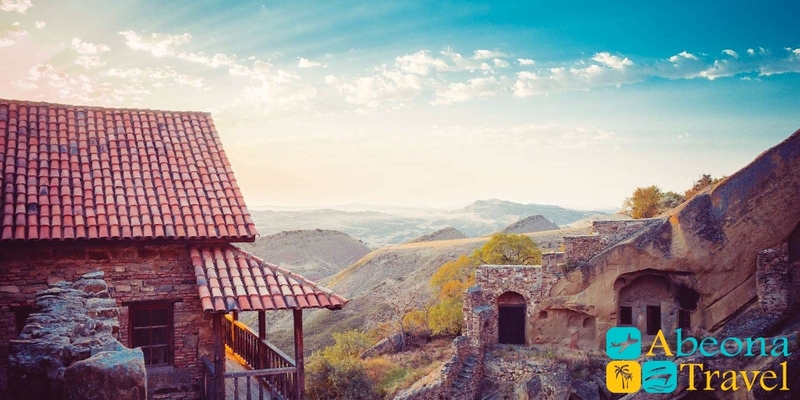 It is located just 60 km far from Tbilisi. But travel companies offer to visit the monastery in the last turn. It’s a pity. And not many tourists know that there is a kind of desert with colored canyons in Georgia. 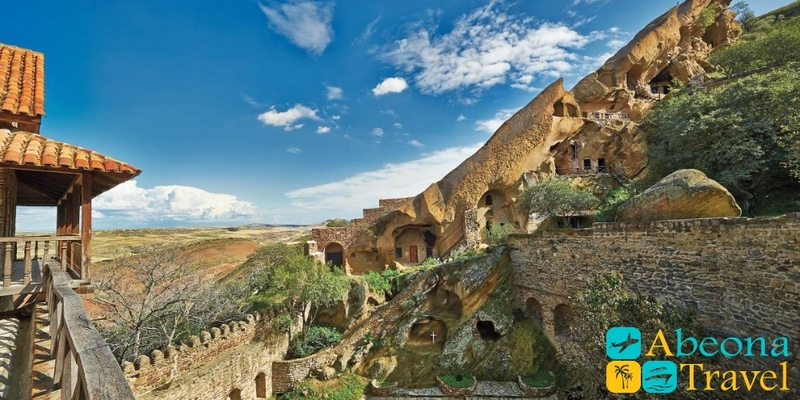 Next to the canyons, on the border with Azerbaijan, spread one of the oldest monastery complexes, which is carved into the rock. So maybe it’s time to surprise yourself and discover something new, rather than read about the sights of Georgia sitting in front of a computer. 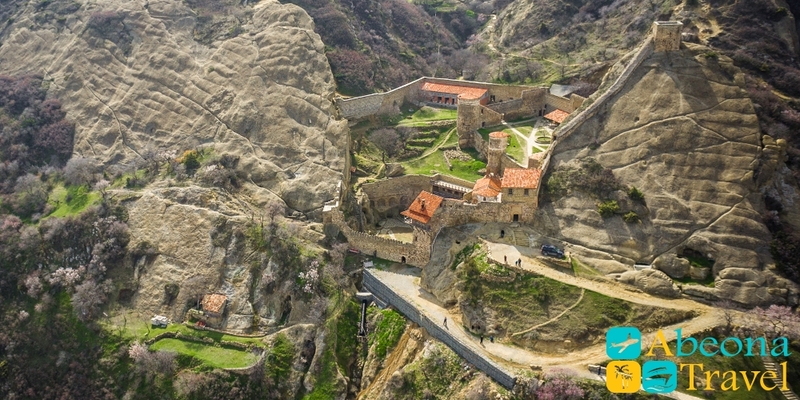 The one of the most respected monastery complex of Georgia was founded in VI century, named by St. David Gareja. Monastery expends on 25 km along the slopes of semi-desert Gareja ridge. The monastery is divided to two parts by state border between Georgia and Azerbaijan. 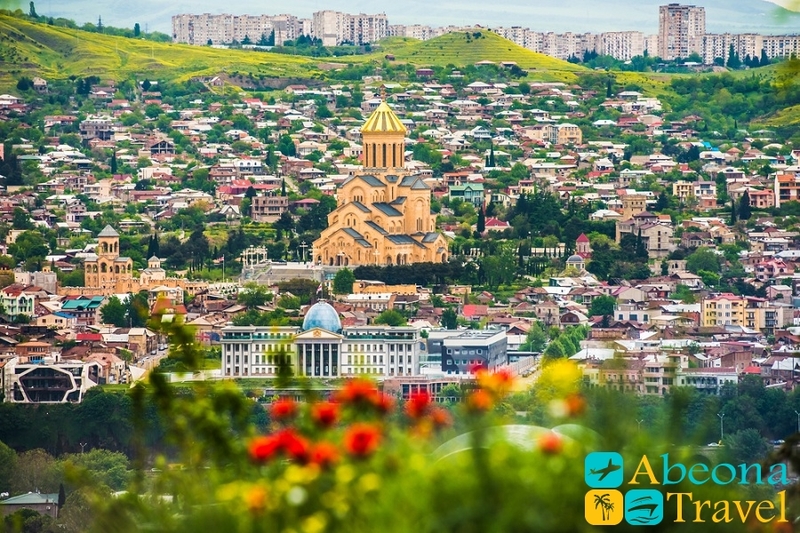 Sanctity is 60 km far from Tbilisi. Monastery complex includes 20 monasteries; the main is St. David Lavra located on the north slope of the mountain which divides Georgia and Azerbaijan. 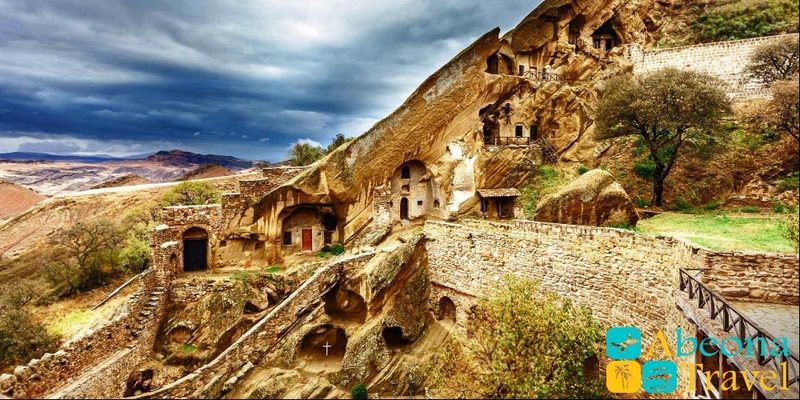 Here you will find 100 caves, which are used by monks as cells. VIII-XIV century’s frescoes with portraits of historical figures, including portrait of Queen Tamar, survived in many churches and refectory monastery. 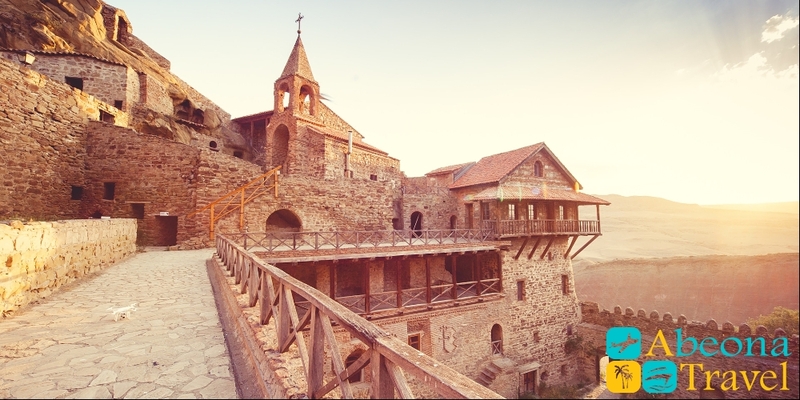 Monastery amazes with its beauty and majesty, you can touch one of the largest cultural and religious centers of Transcaucasia. 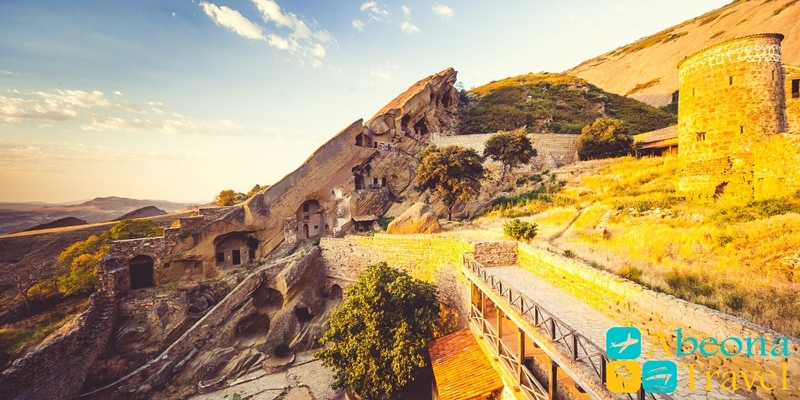 Historical beginning belongs to VI century, when one of 13s Syrian fathers, David (he and his students are buried here in David Gareja) settled in Gareja cave on the slopes of a small gorge and soon founded there the first monastery of Lavra David. His students Dodo and Lucian founded two more monasteries in the same century – Dodo’s Rqa and Natlis-Mtsemeli. The greatest heyday was achieved in XI-XIII centuries during national unification of Georgia. 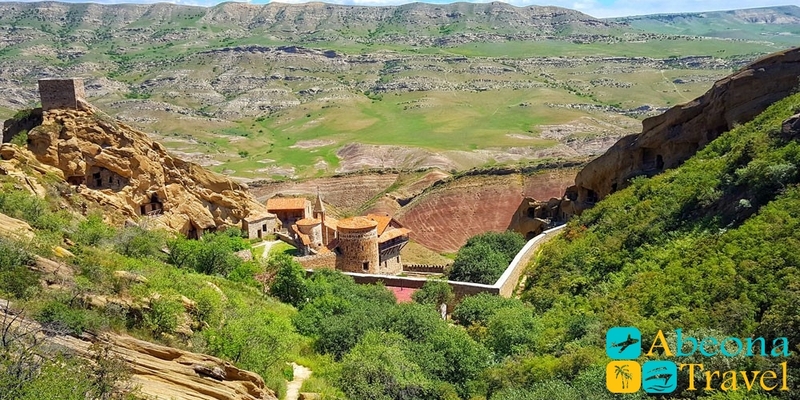 Throughout many centuries of existence monastery complex David-Gareja underwent destruction many times, but has withstood the huge experience of ages, having played an essential role in the spiritual development of the country. David Gareja holds a special place among the monuments of culture of Georgia. An interesting fact is that for a long time the main sanctity of the complex was kept here – namely a stone brought by David from Jerusalem. Approaching the gates of the sacred city, David did not dare go inside, he took only three stones and decided to go back. And the same night the king had dreamed that wanderer who visited Jerusalem took away the spiritual power of the holy city of Jerusalem. The guards who overtook David on the way back took away two stones. The remaining stone David brought with him to Georgia and even today, the relic is kept in the Sioni Cathedral in Tbilisi and transported on special holidays to the David Gareja complex. 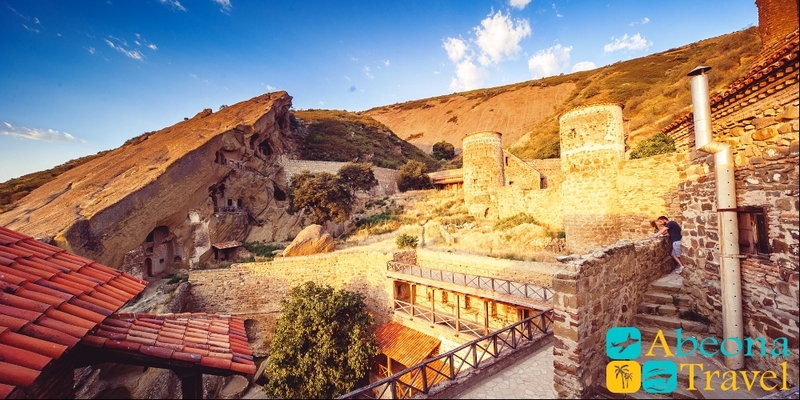 A trip to David Gareja will fill you with spiritual strength and delight with its sights. Price on Trip to David Gareja monastery. The prices are given per car.